If we’re targeting keywords, getting good traffic as a result, but not converting as much traffic as we’d like, then it might be due to a market validation problem. Basic keyword research typically involves looking at the nature of the web site, creating a list of terms that describe the offers being made, expanding the keyword list out using keyword research tools, and then targeting those keyword terms. However, if that’s all a search marketer does, and fails to get conversions and engagement as a result, then they might be asking the wrong questions. Coca Cola undertook extensive market testing and research before they introduced “New Coke”, yet New Coke failed miserably. Their competitors, Pepsi, used a blind taste test, asking people if they preferred Coke or Pepsi. Coca Cola ran their own testing, and the results were not good. The majority preferred Pepsi. However, the problem in asking people to take just one sip and compare was to ask the wrong question. People may have preferred the first sip of Pepsi, but they preferred the less sweet Coke when they consumed an entire glass. In “Inside Coca-Cola: A CEO's Life Story of Building the World's Most Popular Brand”, Neville Isdell also postulates that new coke failed because original coke was about the iconic. It was linked to history. It wasn’t just about the taste of the first sip, it was also about the place of Coke in culture. There was a lot more to it than the first, sugary hit. Coca Cola asked the wrong questions. Getting the context right was important if they were to understand the answers. If you’ve designed relevant landing pages but not getting the conversion rate you desire, no matter how much split/run testing you do, or if you’ve managed to rank #1 for your chosen term, and you’ve written some great copy, but the traffic just keeps bouncing away, then it might be a problem with positioning in the market. These market validation ideas apply mostly to search marketers who build their own sites, but it’s also applicable to marketers working on client sites if those client sites have poor targeting. Bolting on search marketing won’t do much good if a site is making substandard, or redundant offers. “Market Validation” was a concept defined by Rob Adams in his book “If You Build It They Will Come”. It’s the process of figuring out if a market exists before you go to the expense and time of filling that market. Market validation is typically used by entrepreneurs in order to determine if they should enter a market, however the more general aspects can also be applied to search marketing. Two aspects that are particularly useful for search marketers, especially those marketers who care what happens after the click, is a market analysis - to determine what stage in the market the business is at - and a competitive analysis. Armed with this information, they’ll know how to best pitch the offer, which, when combined with effective copywriting and calls to action should increase engagement and conversion. Entrepreneurs are concerned with the growth rate of a market sector. Typically, entrepreneurs want to get into fast rising, new markets, as opposed to mature or sunset markets. It’s difficult for new entrants to compete with incumbents, as doing so involves high costs. It is estimated that the cost of taking a customer off a competitor is typically three to ten times the cost of acquiring a new customer. Try to figure out the stage of growth of the market. If the site operates in a mature market, with multiple competitors, then aspects such as price and features are important. In a mature market, the site you’re working with should be competitive on these aspects, else a top ranking position and compelling copy won’t help much, as the buyer will likely be comparing offers. Similarly, if the client is competitive in these areas, then it pays to push these aspects hard in your copy and calls to action. For example, if a mobile phone site focused, first and foremost, on buyer education, it probably won’t do as well as a site that focuses on price and features. Generally speaking, buyers in this mature market sector don’t need to be educated on the merits of a mobile phone. They’re probably mainly interested in looks, availability, price and features. If your client is in a fast growing new market, then there’s typically a lot more buyer education involved. People need to be convinced of new offers, so consider making your copy more education focused in these niches. For example, when the iPhone came out, it didn’t have any direct competition. Apple didn’t need to push hard on price or features - there were cheaper phones, and there were phones that could do some things better, but there was nothing directly comparable in the smartphone market. Only recently, now that the market has matured, are Apple focusing on price with the introduction of lower priced entry level phones. This is a characteristic of more mature markets with high levels of competition and price pressure. Since mobile phone penetration has reached almost saturation levels in Europe and the United Kingdom, mobile service providers are focusing attention on the 55–65 and 65-plus segment to improve usage and penetration. Their high disposable incomes and their ability to devote time to new habits are seen as a lucrative market opportunity. 5 At the other end of the demographic scale, Red Bull has built a following among youth worldwide. 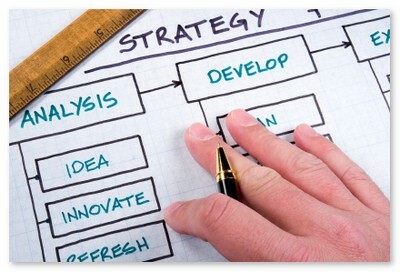 Identify what stage the business is at, and adjust your approach based on the strengths or weaknesses of that market. The more specific the keyword, the more the keyword is likely to identify subcategories within broader markets. For example, a travel agent could target a general term like “hotels in Spain”, or the more specific “luxury hotels in Marbella”. Look for competitive strengths a business may have in a submarket and consider focusing search marketing efforts in these areas first. An easy-win builds confidence. Is this submarket fast-growing? Even better. Build both confidence and revenue. It may lead to more of the business being refocused around these submarkets. Are there some submarkets that have decent keyword volume, but they’re mature? Ensure that you have some competitive advantage in terms of pricing and features before devoting too much time targeting them. Even if the traffic isn't particularly high in some submarkets, at very least you’ll have earned the engagement metrics Google likes to see, and likely built some brand reputation in these submarkets that can then be leveraged into other submarkets. Determine the audience in term of product lifecycle. Are you targeting keyword areas relating to new products? If so, you’re most likely talking to early adopters. Therefore, the pitch is likely to involve aspects such as education, being first, desirability, being forward-thinking, and standing out from the crowd. The pitch is less likely to focus on negating buyer risk. If you’re dealing with a business later in the lifecycle, then you’ll likely be talking more about price and comparing and differentiating features. Competitive analysis is perhaps the most important, yet often overlooked, aspect of SEO/PPC. Top rankings can be a waste of time if direct competitors are more competitive on features, price, service and brand recognition. Buyers will compare these aspects clicking from link to link, or will use third-party comparison sites, a sure signal of a mature market. A competitive matrix is an analysis tool that helps you establish your company's competitive advantage. It provides an easy-to-read portrait of your competitive landscape and your position in the marketplace. The matrix can be just a simple chart. In the left column, you list the main features and benefits of your product or service. On the top row, you list your company and the names of your competitors. Then fill in the chart with the appropriate information for each company. For example, if you own a dry cleaning service, you might list the different services you offer or the quick turnaround you provide on items (24 hours), and then note how your competitors fail at these features. If there are competitors, then obviously a market exists. Compare your competitors against as many keyword terms as possible, and see how well they’re doing in each keyword area. Not just in terms of ranking, but in terms of their offer and the maturity of the market. If there are numerous competitors gunning for the same keyword terms, then determine if your offer is strong enough that should you beat their rankings, you can still stand up to a side-by-side feature, service and price comparison. Is there a submarket in which they are weak? Would you be better off devoting your time and energy to this submarket? Examine their pitch. In any competitive niche, the pitch made by those occupying the top three spots in Adwords over time is likely to be the most relevant to the audience. If their pitch wasn’t relevant, it’s unlikely they could remain in those positions, due to quality score metrics, and the financial strength to keep outbidding competitors. There are exceptions i.e. competitors running losses for some reason, but generally, it’s safe to assume they’re doing something right. Are they talking price? Features? Are they using video? Are they using long copy? Are they using people in their photographs? How big is their text? What’s the path to ordering? Do they highlight a phone number, or do they bury it? Pull their offer, and presentation of that offer, apart. Make a note of everything the top three or four sites Adwords sites are doing and then emulate the commonalities. This gives you a strong baseline for further experimentation, testing and positioning on the SEO side. Keep in mind it’s not good enough to beat these competitors by a small margin. Incumbents often have brand awareness and customer bases (high trust levels), so to counter that, your should be considerably better. A “better offer” can mean superior price or features, but it can also be better service levels, a more specific solution, or a fresh new angle on an existing solution. If a buyer can substitute a product or service, then this offers a potential opportunity. For example, lets say a buyer has a transportation problem. They could buy a car to solve that problem. Or, they could lease a car on a pay-per-drive model. The pay-per-drive model is a substitution threat for car sellers. If you take a step back and determine what problem the visitor trying to solve, as opposed to leaping to conclusions about the obvious keyword that describes that solution, then you might find rich, unmined substitution keywords. 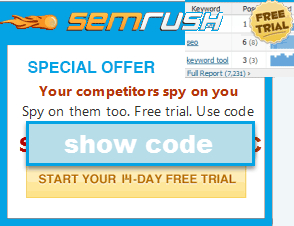 Perhaps your offer can be repackaged slightly differently in order to mine a substitution keyword stream. Of course, people don’t always buy on price and features, even if the market is mature, but they still need a compelling value proposition. One example is organic produce. It’s typically more expensive, and the “features” are the same, but the context is different. The produce is sold on environmental values. So look for value propositions that customers might respond to, but competitors aren’t taking advantage of. Or you can extend the ones they use. Now that Google is coming from behind with their own Motorola phones they are extending Apple's designed in California with made in America. There are many links on the page a searcher can click. The more mature the market, the more relevant search results they’re likely to encounter, and those results, both PPC and natural search are likely to match their intent. At that point, getting the offer right is important. If you can’t compete in terms of offer, try looking for submarkets and position there, instead. I hope this article has given you some new angles to explore. A good reference book on the topic of market validation, and the inspiration for this article, is “If You Build It They Will Come”, by Rob Adams. Thanks for sharing such a valuable information.After reading this Blog the way of my thinking about Keyword Research becomes changed and broad.And I also had to say that the I like the example of coca cola and Pepsi you gave here.now I can say keywords are not just describe your site there are more than it.choosing the right becomes the most beneficial for your website traffic.